A recent operation carried out by Essex Police’s Road Policing Teams led to one arrest, several vehicles being seized and a number of drivers issued with Fixed Penalty Notices. Road Policing Teams carried out Automatic Number Plate Recognition (ANPR) checks on the A12 in Chelmsford. Drivers and vehicles picked up through the ANPR checks were escorted to the Boreham Interchange for further investigation. 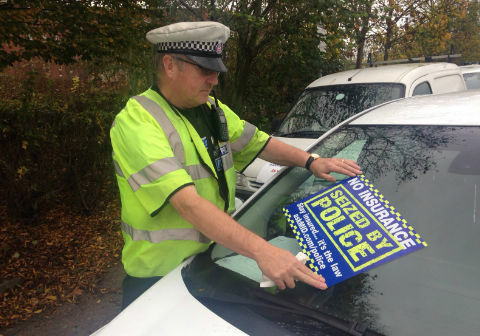 One driver was arrested after an ANPR check revealed a warrant for their arrest on suspicion of two counts of theft. Six vehicles were seized under Section 165 after drivers were found driving with no insurance, and a further six were found driving a vehicle without a valid MOT. A total of 73 drivers were found driving without wearing seat belts and 33 were found driving while using a mobile phone. Two drivers were stopped for driving prohibited vehicles and another two for having illegal tinted windows. Six drivers were found to have exceeded their drivers’ hours and three vehicles that were stopped were found to be overweight.